WEST PELHAM ANTIQUES, Pelham, Mass. 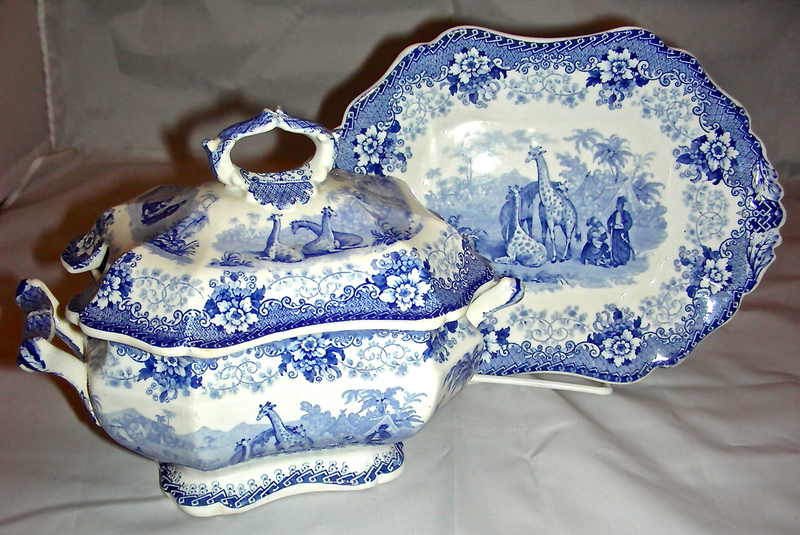 westpelhamantiques@gmail.com 413-575-5523 Crisp and clean Staffordshire transferware three-piece gravy tureen in the popular Giraffe pattern with rich medium blue color, circa 1836, by John Ridgeway. The tray measures 8½ by 6¼ inches and the overall height of the set is 6½ inches. It is in excellent condition.